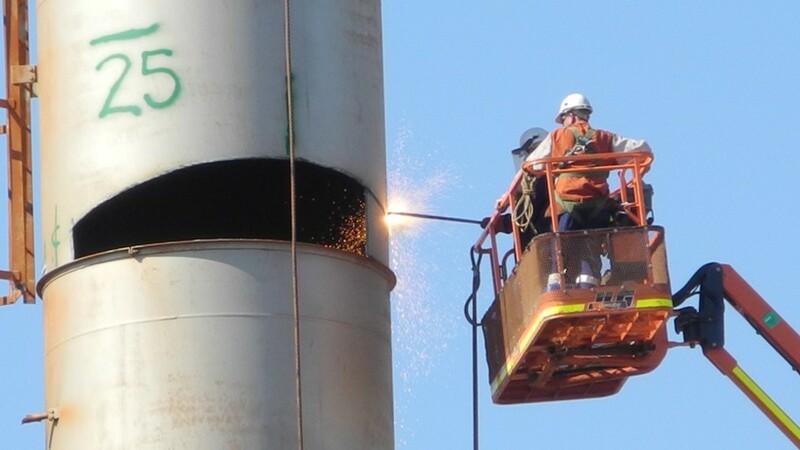 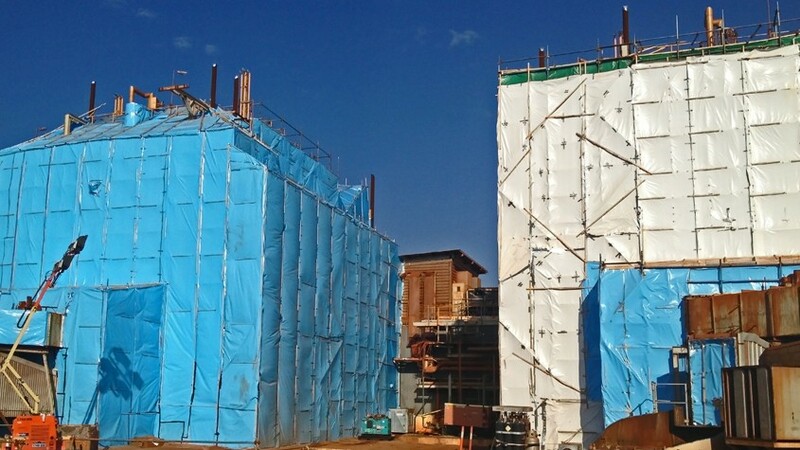 The project involved the demolition and removal of the redundant Cape Lambert Power Station for Rio Tinto, including decommissioning and de-energising the station, friable asbestos removal of boilers, demolition of the boilers, boiler stacks, and removal of all structures to top of ground slabs. 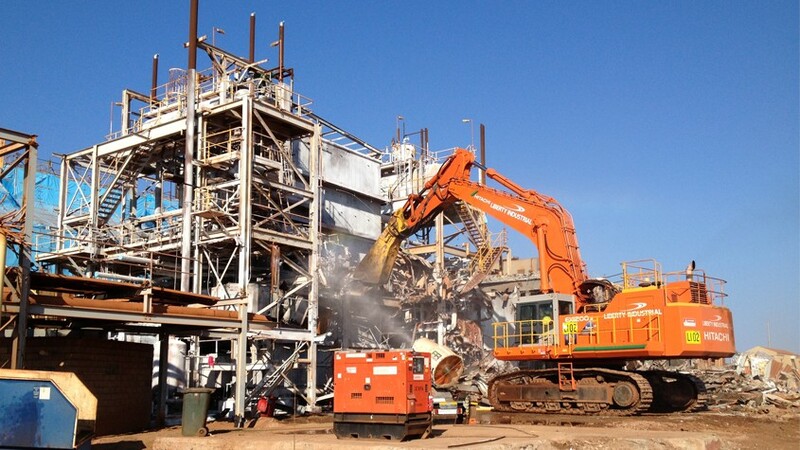 The stacks were induced collapsed, and boilers weakened and pulled to the ground with a 120t excavator. 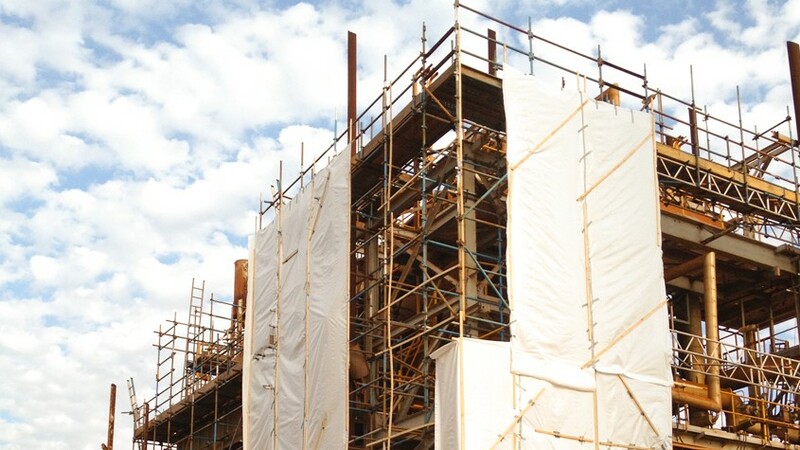 The works were undertaken with a combination of 2 x 120t, 46t and 36t excavators with shear and grab attachments, 40t moxy, water truck, service truck, telehandler, semi tippers and various sized boom lifts.